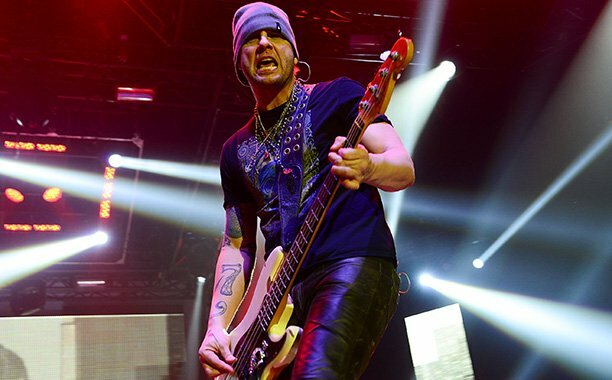 3 Doors Down bassist Robert Todd Harrell has been ordered by a Nashville judge to move from Mississippi to Music City so he can be under house arrest until he faces a vehicular homicide trial. According to The Tennessean, the prosecutors argued Friday that bassist Robert Todd Harrell was a danger to the community and needed to be jailed while awaiting trial. Robert Todd Harrell, 42, has been arrested on three DUI-related charges in two years. Police say the bassist was driving impaired in April of 2013 and caused a crash that killed another driver in Nashville. Robert Todd Harrell’s attorney convinced the judge that house arrest was more appropriate. After the hearing, defense attorney Ed Ryan said Robert Todd Harrell has pleaded not guilty. 3 Doors Down announced last week that the band had suspended Robert Todd Harrell indefinitely.